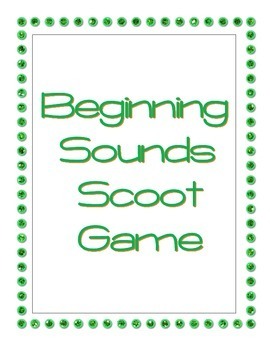 This is a fun way to get your students moving and practicing their beginning sounds. 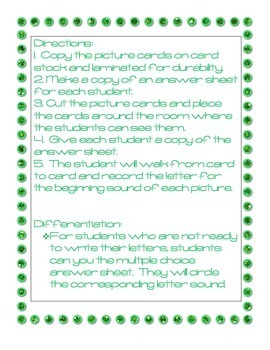 Place the picture cards around the room where they can be easily seen, and give each student an answer sheet. The students move around the room and record their answers. I like to play music as the students move around the room. 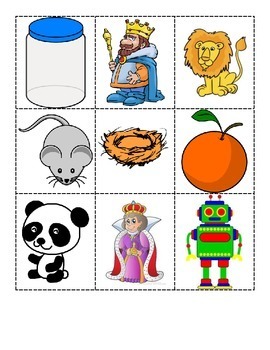 This game helps the students get their wiggles out while reinforcing an important skill.